Tickets at the box office. The literal translation for "coquillettes" is "elbow macaroni". 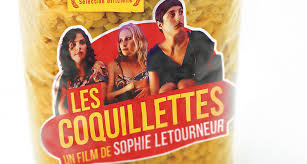 I love the word "coquillettes.